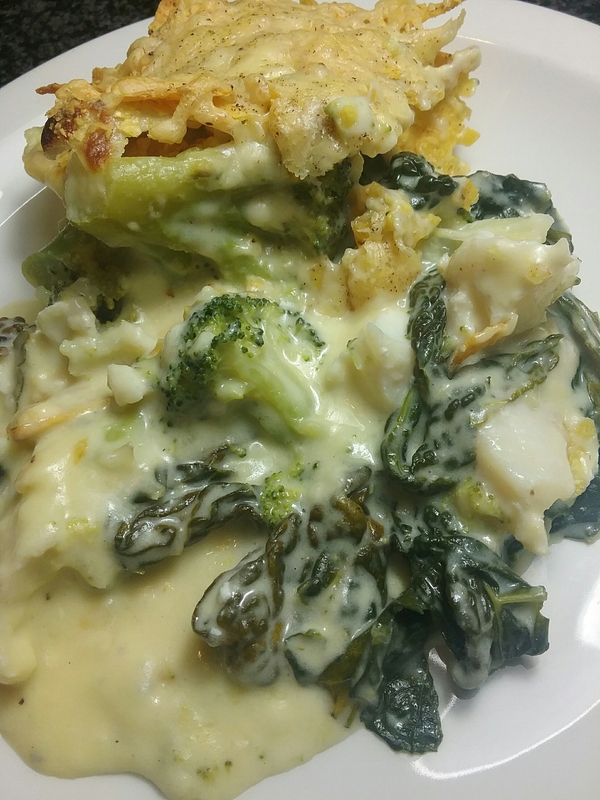 Steamed broccoli, cavolo nero kale and cod bake | Jo's food bites. Ingredients: Broccoli, cavolo nero kale, large cod fillet, cheese sauce, plain tortilla chips, grated cheese and black pepper. Steam the broccoli and kale. Gently simmer the cod in milk. Make a cheese sauce. I served this with gf tortilla wraps smothered in garlic butter and baked till starting to crisp. Yum lively and hearty Jo and so good for you with those dark cavolo nero greens! Jo, just love all your recipes. I will be here for a while still browing through all your awesome recipes.